Nolan Family Adventures: Brookie Bites! Brookie Bites are a dessert lovers dream come true! 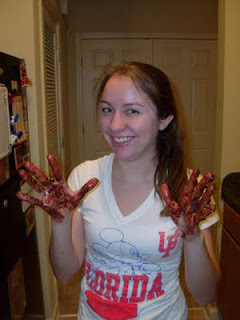 I found them first on the Veater Family's blog about Valentine's Day recipes, which directed me to the creator's website - Inside BruCrew Life. 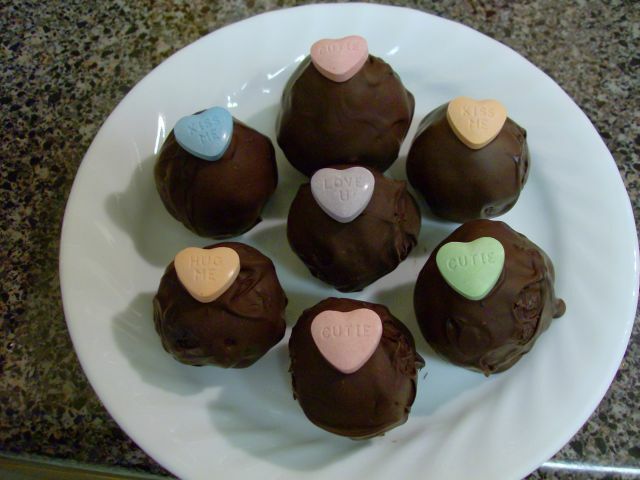 I made them back in February for Valentine's Day, but I think they are perfect for any occasion (just decorate them a little differently!). So what is a Brookie Bite and how do you make them?!? Well...get ready for this...a Brookie Bite is a cookie/brownie ball dipped in chocolate! Check out the recipe on Inside BruCrew Life here! The images on her blog are AMAZING and will make you want to drop everything and make this delicious treat RIGHT away! I was afraid the recipe would be too complicated, but it is fairly easy (just a little time consuming!). While mine did not look as aesthetically pleasing as the originals on Jocelyn's blog, they sure tasted good! 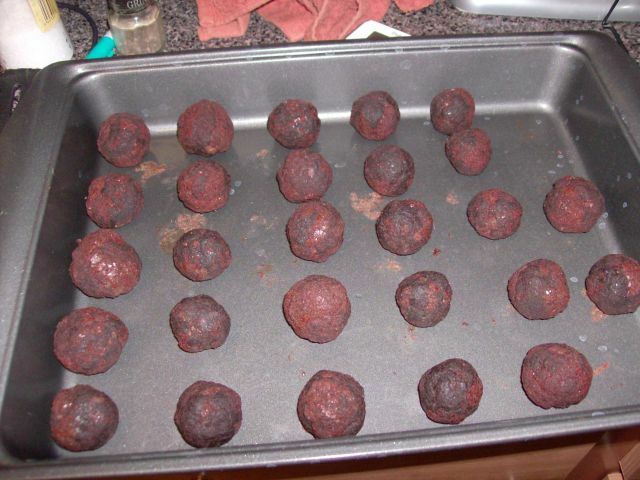 First, I baked chocolate chip cookies and rolled them into balls. I used the chocolate chip cookie recipe on Inside BruCrew Life, but used 3 tablespoons of vanilla extract instead of the coconut extract (just how she tells you to make them in the Brookie recipe blog). I decided afterwards that maybe I should have put less chocolate chips in the dough (or maybe even leave them chocolate chip less) because it was quite messy rolling them in balls, lol! After the cookie dough balls hardened in the freezer, I smashed brownie around them. 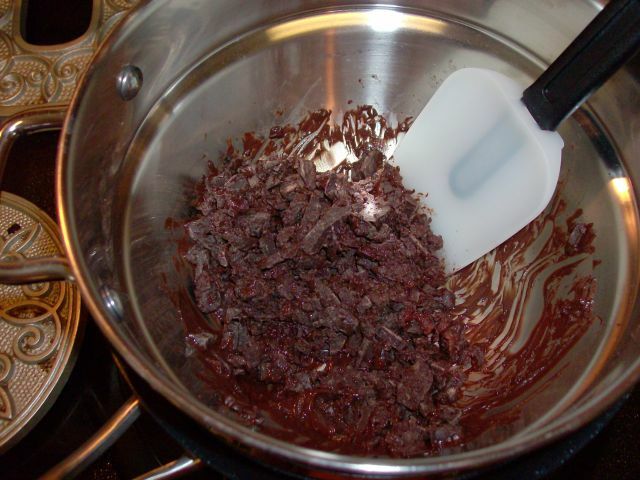 I just used a box mix for the brownies. 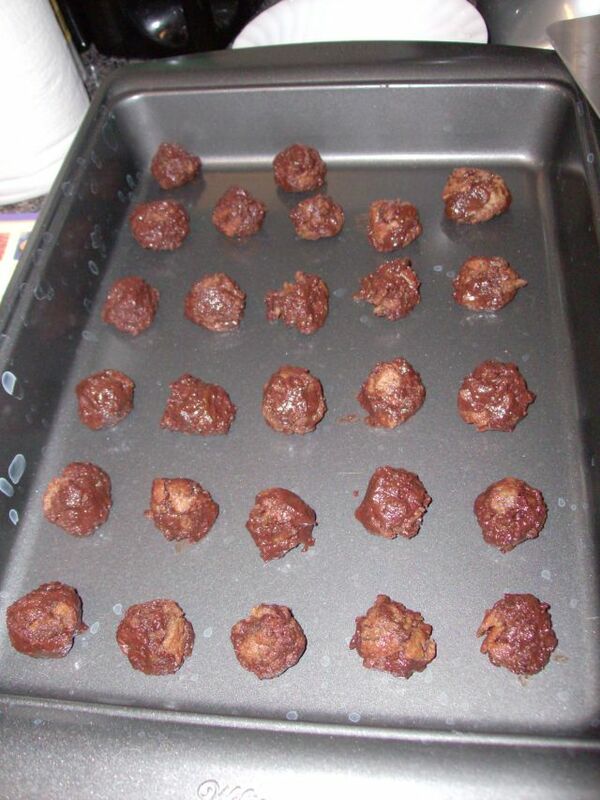 After the cookie dough/brownie balls hardened in the freezer I melted chocolate and dipped them in it! 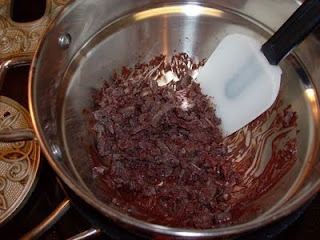 At first I used semi-sweet chocolate chips, but ran out and started dipping them in milk chocolate. I actually liked the milk chocolate ones more because they were less rich (and this is A LOT of chocolateyness to handle!). I dipped the balls one at a time, removing them with a spoon. After putting them back on the pan I placed a sweet tart on top. I think it would look great with any mix of colored sprinkles or small candies! Change it up for whatever occasion you want to make them for! I am so glad you liked the fun recipe! LOL...it is a lot of chocolate, but I wouldn't have it any other way:-) love that you included a pic of you and your chocolate hands! Ooooooh cute! I'm so glad you found this on my blog and got inspired to make them! Aren't they delicious? I want to make them again!